We're the biggest physical activity provider in Edinburgh. There’s more to us than meets the eye with more than 30 first-class venues, 13 superb gyms, 9 exceptional swimming pools, over 700 fitness classes, all-weather sports facilities and the Europe’s largest indoor climbing arena. With venues throughout the city, friendly experienced staff and value for money membership, we make it easier to enjoy a more active lifestyle and keep Edinburgh healthy. Wherever you are, there's an Edinburgh Leisure venue near you. You’ll find us conveniently placed at over 30 locations across the city with a variety of opening hours providing you choice and flexibility to help fit us into your schedule from home or work. There’s something for everyone at the Biggest Club in Town. Making a positive impact on the health and wellbeing of the people of Edinburgh is at the heart of what we do. 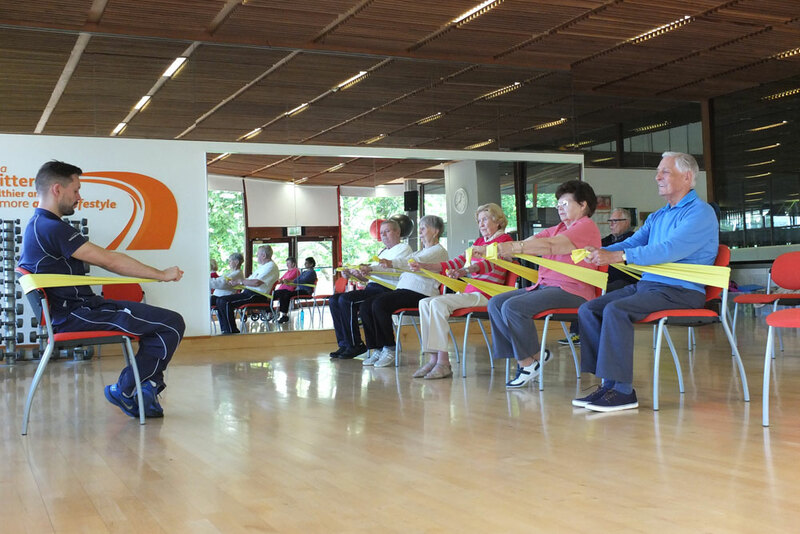 We also deliver physical activity programmes in partnership with NHS Lothian and the voluntary sector which cover a range of health conditions including weight management, long term conditions, mental health and falls prevention. Time to get started, stay active and live healthier lives. Get your kids working off those chocolate eggs with a free coaching taster session at the Biggest Club in Town on Easter Sunday. It’s never too early to get your child active for life by starting them young and Edinburgh Leisure is offering a free children’s coaching session at Jack Kane Sports Centre on Sunday, 21st April, from 1:00pm-4:00pm, where they can try one or a variety of options. An Edinburgh project supporting people with dementia to be more active and healthy, is recruiting golfing buddies. Movement for Memories, launched in September 2018, and delivered by Edinburgh Leisure is looking for volunteer Golf Buddies to support people living with dementia to be physically active. The project is supported with funding from the Life Changes Trust. The Trust is funded by the Big Lottery.